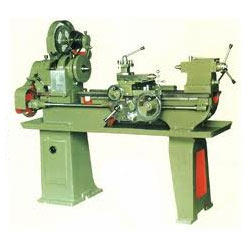 Pioneers in the industry, we offer light duty lathe machine and top lathe machine from India. We, being one of the leading manufacturers, suppliers and exporters, use only high quality raw materials in the production of these Light Machine Lathe. This product is widely used in various industries for the purpose of turning, bending, tapering, etc. The offered product is known for the sturdy construction and efficiency it provides. These products are offered by us at a market leading price, making it a highly preferred product in the market. We provide these products in customized specifications as per the needs of the clients. 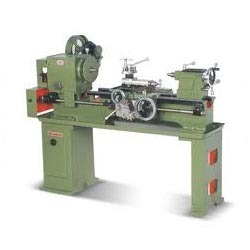 General Floor space (L x W x H) 60" x 25" x 50"
These Light Duty Lathe Machine manufactured by us are widely appreciated for economical and durable nature. We provide this product to our clients in customized designs as per their requirements. This product is manufactured by us using high quality raw materials and various modern machineries are known for its efficiency in turning, tapering, and slotting both internally and externally. The offered product, post production, is processed through a number of quality checks in order to ensure the quality being provided. General Floor space (L x W x H) 65" x 28" x 55"
The offered Top Lathe Machine is used for the purpose of wood turning, metal spinning, and metalworking. Manufactured using high quality raw materials, this product is known for its sturdy and durable body. This product is provided to our clients at a very reasonable price, making it a product that is much popular. We make this product available in various specifications, as per the demands of the clients. 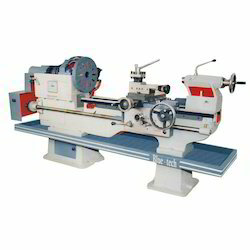 Looking for Light Lathe Machine ?